Your outdoor living doesn’t need to remain on one level. 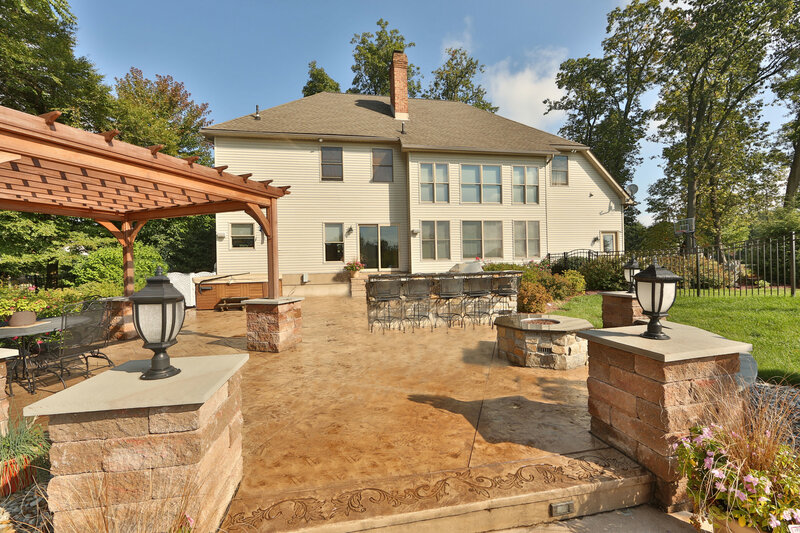 Using hardscaping elements such as retaining walls, pillars and stairs, we can transform your patio or pool deck into a multi-level entertaining space, adding drama and sophistication. 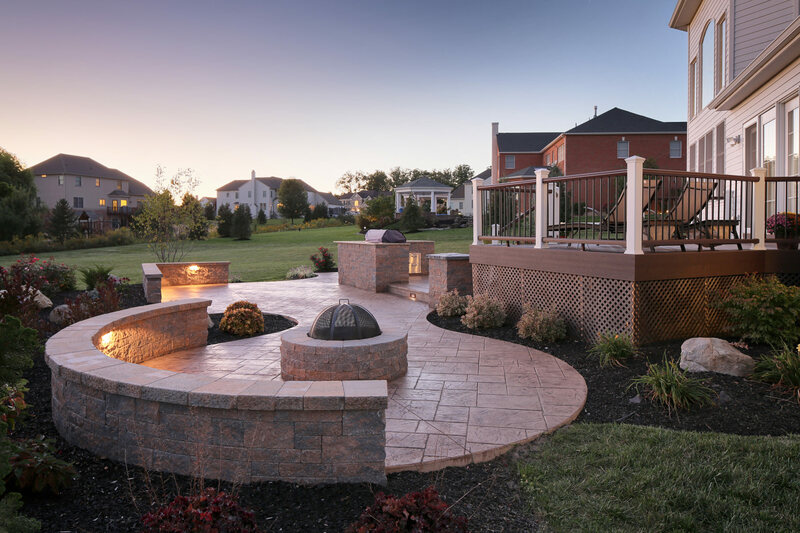 Hardscaping offers you a variety of options to create a stepped environment with areas designed for outdoor kitchens, dining, and relaxing around the pool or fireplace. Pathways and stairs seamlessly connect your spaces, ensuring landscape continuity. Retaining walls are used to protect your home from erosion or enhance your landscape by defining different elevations. Retaining walls can be functional as well as aesthetically-pleasing. 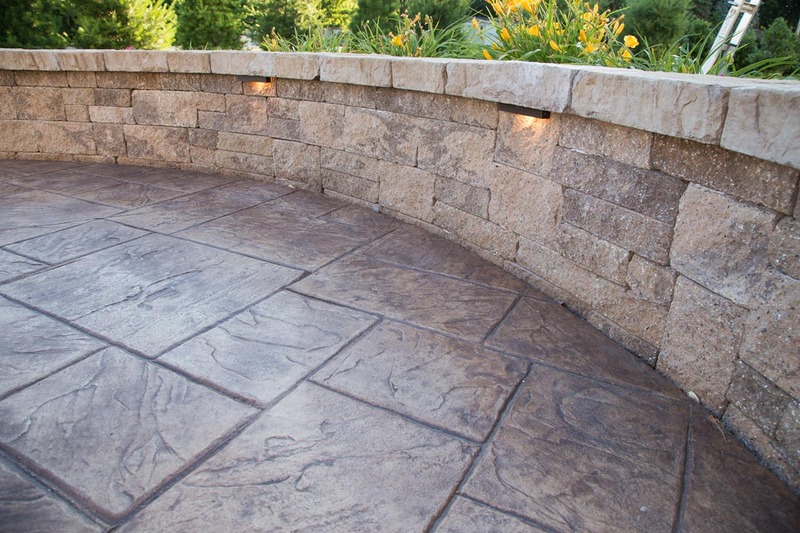 Signature Concrete Design uses a variety of Techo-Bloc stone and masonry stone to construct retaining walls, depending on the support needed. With many colors and textures available, we’ll find the perfect fit for you. Pillars not only add a sense of drama to your outdoor space, but also provide practical transitions from one area to another. Pillars can also give a finishing touch to sitting walls while helping increase overall stability. Stoop and Steps: The right stair design can turn your outdoor living area or the entrance to your home into a showpiece. 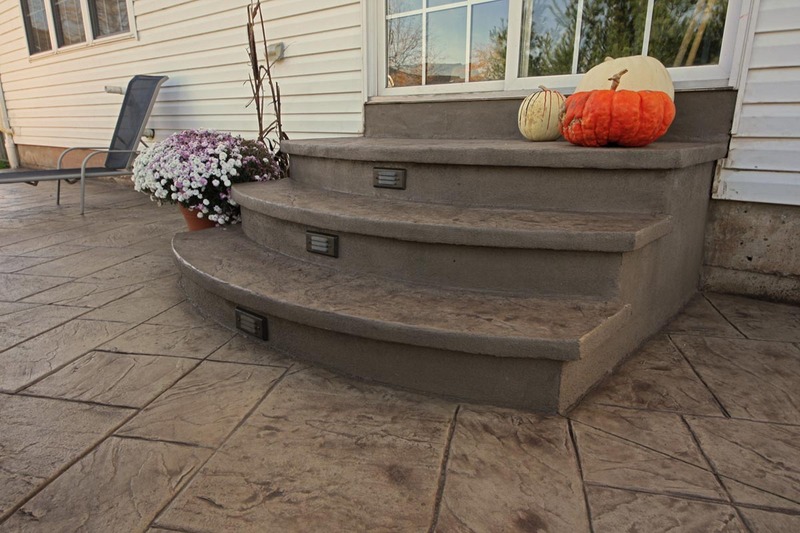 Signature Concrete Design creates stairs and stoops that complement the design of your home, driveway or patio and pool deck. 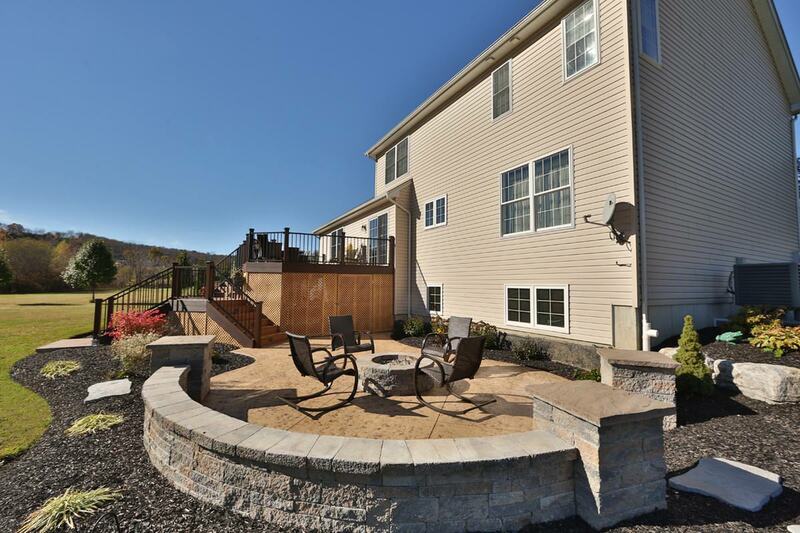 Virtually every stamped concrete or paver project requires a set of stairs or a stoop to move gracefully from your outdoor living space to the indoors. We carefully consider the size of your door and patio height to determine the proper design of any stairs or stoops. 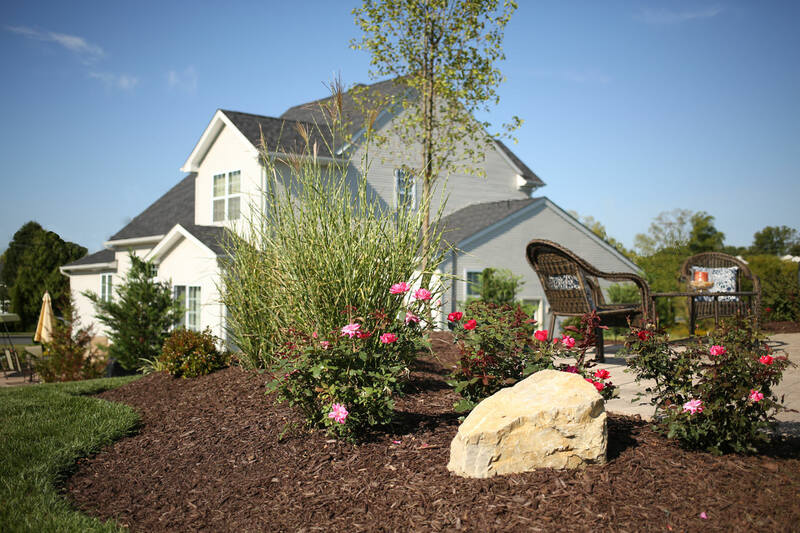 Discover how hardscaping can change your landscape. 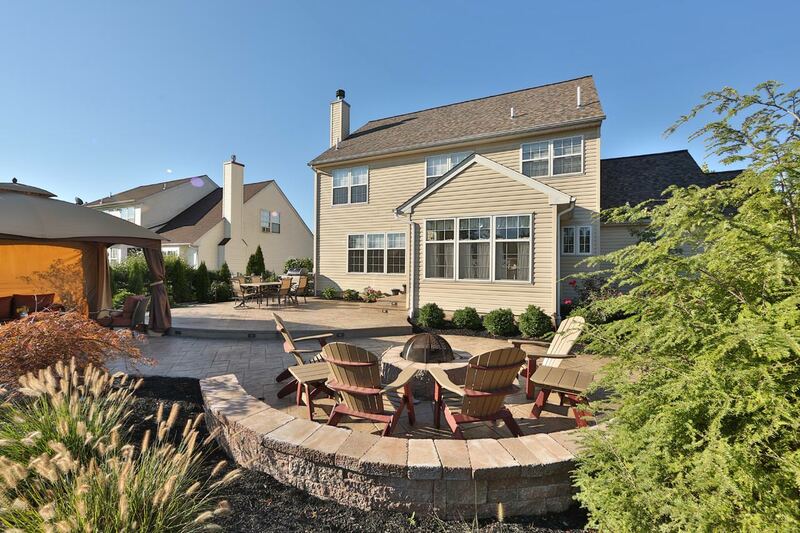 Call us today at 610.923.5073 to learn more about hardscape design for your Pennsylvania or New Jersey home.